Children should be physically active at any age. A good goal: one hour of physical activity each day. To learn about specific tween and teen-related sports injuries and prevention, go to our teen issues for boys, or teen issues for girls sections. Encourage preschool-age children to exercise through unstructured “free play,” such as spending time running around at a park or roughhousing with a parent on the floor at home. Gyms and community centers normally offer active classes or set aside time for little ones to run around; both can be a fun and enjoyable ways to introduce children to athletics. 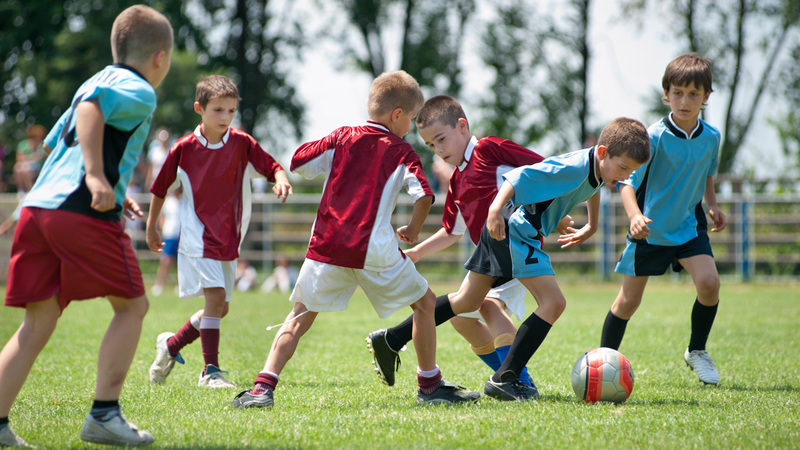 When are children ready to play organized sports? By the time they are 6 years old, many children are ready for organized team sports. At this age, they can follow a coach’s directions and understand the concept of teamwork. Beginning around age 8, limited contact sports may be acceptable. Remember, each child is unique and will be ready for sports in her own time. Age, weight and size should not be the only measures of sports readiness. A child should not be started in a sport until she is physically and emotionally ready. Between 1.7 and 3 million sports-related concussions happen annually to children in the U.S. A concussion is a traumatic brain injury that affects a child’s brain function. Most are temporary, including headaches and problems with memory, balance, mood and thought processing. Some concussions are more serious and can lead to permanent changes in your child’s quality of life. In general, the more contact in a sport, the more the risk of injury. Most sports injuries involve soft tissue, not bones. Only about 5 percent of all sports injuries in children are broken bones. The most common are sprains (ligament injury) and strains (muscle injury). Many injuries can be attributed to “overdoing it,” for example, pitching too many innings or running too much. Overuse puts stress on young tendons, joints, bones and muscles, and can lead to damage. Wearing the correct protective gear. Warming up and stretching out before exercise. Strengthening muscles by doing conditioning games. Using proper techniques (e.g. pitching a ball correctly). Taking breaks to rest and rehydrate during practices and games. Playing safe. Headfirst slides in baseball, spearing in football, and body checking in ice hockey are examples of unsafe play that should be strictly forbidden. Stopping if there is pain. Pain is a sign that a child’s body is not tolerating the activity and needs to rest. Avoiding heat injury by hydrating, wearing lightweight clothing and decreasing or stopping practice during excessively hot or humid weather. To be sure your child is in good health and can safely play organized sports, schedule an appointment with us for your child to receive a complete physical. Everyone knows that physical fitness has many beneficial effects, but can being physically fit change the shape and function of your child’s brain? A recent study suggest that the answer may be YES!